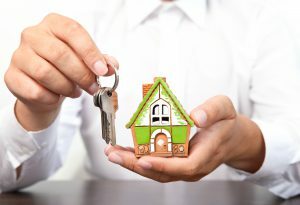 Do You Need a Property Management Company? Do you own or invest in a manufactured home or RV community? Take a moment to ask yourself the following questions to determine if you need a property management company. Do you have the need for timely, accurate and comprehensive financial reporting? Do you need a more detailed explanation of the financial health of your community? Do you have special reporting needs for partners or lenders that require more than the typical monthly reports? Are collections and resident ledgers a challenge? Would an automatic payment system help your cash flow? Are payables too time consuming? Are you missing out on discounts from vendors and contractors because you are not part of a larger group? Is there tension between residents and management or residents and owners? Is it a challenge enforcing the rules and regulations in your community? Is there any past or present litigation involving the residents? Do you understand the state and local laws regarding being a community owner? Do you survey residents annually to assess their satisfaction with living in the community and then act on the results? Does your current management hold social functions throughout the year to show appreciation to the residents? Do your residents have access to a community Chaplain and other outside resources for residents that are hurting? Are your residents screened and background checked by a reliable national service prior to being approved for residency? Are residents given a thorough orientation concerning rules and regulations and given other pertinent information prior to moving in? Is there enough time in your day to evaluate your community and establish the proper operational reserves and capital improvements? Are getting bids for operational and capital improvements too time consuming and/or difficult to get? Does management regularly inspect the entire facility to make sure every home and common area is kept in pristine condition? Are the number of homes for sale in your community increasing? Are you challenged with the expansive requirements of selling homes within your community? Do you have in-fill needs but don’t know today’s products, manufacturers, and requirements? Do you have an on-site sales program for resales that helps preserve home values and resident relations? Are your homes for sale listed on multiple international web sites specific to the manufactured home buyer? Do you conduct regular reviews of contracts, insurance, and reserve requirements? Do you have a knowledgeable and articulate representative to attend board and association meetings? Does your current manager have an understanding of all pertinent laws, statutes, and provisions? Would you like someone to handle all of your recruiting (advertising and interviewing) and hiring needs, including background screening, drug testing, administering skills assessments and much more in an effort to hire top quality candidates? Are you in need of a payroll and/or benefits administrator? Are you looking for someone to assist you with labor law compliance as well as implementing a Workplace Safety Program? Do you know that personnel files must be locked in a safe place, contain specific information, and be kept confidential? Don’t let the stress of owning a manufactured home or RV community weigh you down. Let the professional, full-service staff at Newby Management help make your community the best it can be! Call for a free consultation at 941-721-0046. The average home in Florida costs over $200,000. This price leaves many people without options. Although renting saves you from upfront costs, Floridians are paying around 44 percent of their income on rent each month. So, what options are left? Buy a manufactured home. This option scares off many people, as they are imaging manufactured homes of the past. We’ve talked about 5 manufactured home myths that aren’t true, and it speaks volumes about the stigmas that people still have about these homes. In the past, manufactured homes were more difficult to finance. Today, they are almost as easy as a site-built home, with large lenders like Wells Fargo offering manufactured home loans. With lending becoming easier, more people are realizing that a manufactured home might be the best path to home ownership. Manufactured homes can start at just $69/square foot, which is around $20 less than the average site-built home. 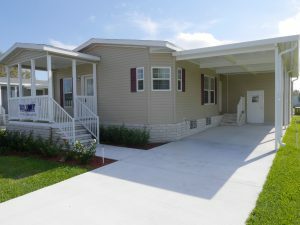 Aside from affordability, new manufactured homes not only have value, but also have the ability to appreciate over time, making this a worthy investment for families and the retired alike. In new construction manufactured homes you’ll find plenty of modern luxuries and amenities. Buying a new home means you can customize things to you liking, from granite counters and garden tubs to stainless steel appliances and upgraded fixtures. Check out one of our new 2016 homes to see how beautiful a manufactured home can look. If you’re looking for an older home they often have character and charm as well. You can find homes in great communities at prices that are affordable and reasonable. Many times these homes are being sold by their owner who kept the place in great shape. These homes are often move-in ready, like this manufactured home with a water view in Rolling Greens. We would love to assist you in finding a wonderful home. Our company manages manufactured home property across Florida, from 55+ to family friendly communities. Comment on this page if you’re interested in getting started and we’ll help you!